The pristine waters off the shores of the Bahamas are the ideal place to learn to Scuba Dive or continue your diving education. This series of gorgeous islands in the Caribbean Sea is home to a fabulous array of premium dive sites, including amazing coral reefs, splendid walls, and intriguing wrecks. 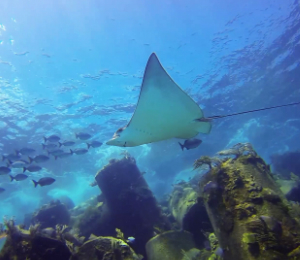 You won’t find a classroom more conducive to learning than the warm water off the coast of the Bahamas. Whether you’re a beginner looking to enroll in an Open Water Certification course, or seeking to complete your scuba training with an Open Water Referral from another dive school our professional PADI-certified instructors will provide you with the comprehensive instruction necessary for you to enjoy independent diving in Open Water. 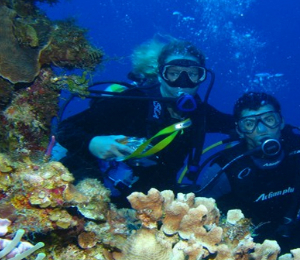 We also offer specialty certifications like Night Diving, Wreck Diving, Underwater Photography and Cave Diving. Become a certified Open Water Scuba Diver while on vacation and dive in tropical, scenic locations surrounding our island of New Providence. This is a complete course that provides all the training and diving required for your certification. Condense your Open Water Certification course by starting at home and completing the e-learning online class before your visit! The E-learning Referral Course provides everything a full course provides, but is done in less time. 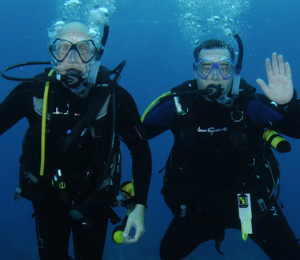 Our Referral Course provides the 4 required check-out dives in order to finish your Open Water Certification. At this point your classroom work and confined dives have been completed and you’re now ready to finish up and become certified to scuba dive.